Laboratory Testing Facilities< TEMPEST INC.: TEMPEST security, emsec, ce mark, fcc, electromagnetic compatibility, EMI-EMC, shielding effectiveness, acoustics. 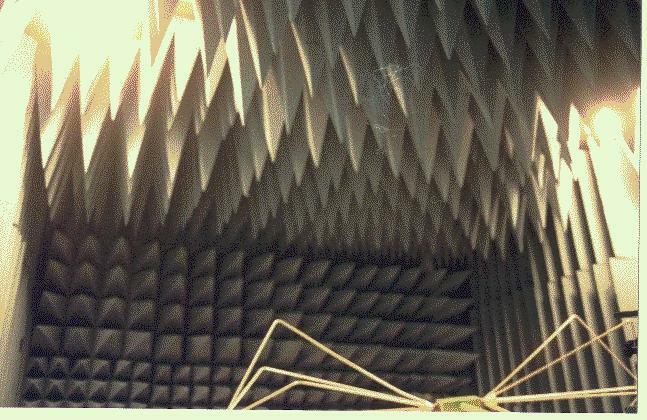 Besides a fully-equipped TEMPEST security testing facility, we have an FCC Listed open area test site for electromagnetic compatibility and antenna testing, a MIL-STD-461E Anechoic Chamber for military and commercial electromagnetic compatibility testing, and other facilities for Acoustic, Electromagnetic Compatibility (EMC) and Shielding Effectiveness testing. We are proud of our TEMPEST security and EMI-EMC testing laboratory. For a full description, please contact us. Our TEMPEST security engineering services are only available to the US Government and its contractors. others require US Government approval in advance. Subjects: TEMPEST Security, EMSEC, INFOSEC, C4ISR, and electromagnetic compatibility (EMC )laboratory testing.